And then just had to push my luck last night! Think this counts as illegal use of a shopping cart!? We weren’t arrested, but did get a few strange looks from the older, Benz drivers of Destin :). You’re such a bad girl!! Love it!! How fun is this! 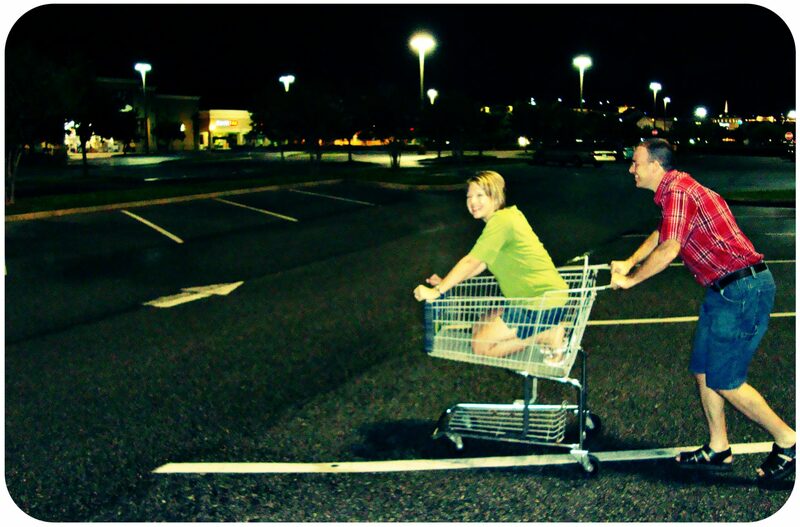 I didn’t know it was illegal either.. Back in the day my friend Jill used to push me all around the grocery in a cart, and we’d be laughing our butts off it was so much fun! That doesn’t look like a burger, it looks better than a burger, what is that? I like your self portrait! And your teacher gifts are amazing!